New prototype announced: Crescent Bay - adds 360 degree positional tracking! 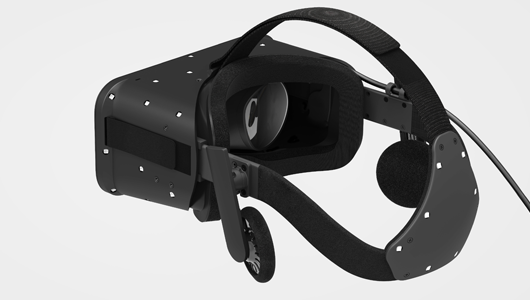 The addition of LEDs on the reverse of the headband would seem to confirm that the consumer HMD will have 360 degree 6DOF head tracking - great news for Virtuix Omni users! Yes this is really encouraging. Hoping it be purchasable when the Omni starts delivering. 360 degree tracking in the HMD means that legacy apps that don't have the ability to decouple much movement won't require a separate VR controller (like STEM), saving money for those who only need legacy app support (like for existing first person shooters and the like).